It seems like a dirty trick. You’ve learned you’re gluten intolerant and are hoping a gluten-free diet will cure your eczema, diarrhea, or whatever niggling health malady vexes you. Transitioning to a gluten-free diet is hard enough: You had to replace your toaster, your cutting boards and stone baking wear, disinfect your pantry, toss a bunch of perfectly good food, and say a tearful goodbye to pizza deliveries and pints of beer. But what’s this? Not long into your new diet and you’re actually getting worse? Your skin flares up, your gut is doing circus tricks, your joints feel like they have knives stuck in them, or your newly gluten-free child is growing fangs and snarling at you. Relax. Turns out what you’re experiencing—that storm before the calm—is totally normal for some people who give up gluten and casein (the protein in dairy). “In fact, gluten and dairy do act as drugs for many people” says immunologist and researcher Aristo Vojdani, PhD, MSc, MT, the CEO of Immunosciences Lab, Inc. in Beverly Hills, California. ” Just as with the heroin or pain-pill addict, going off gluten or casein cold turkey can produce withdrawal symptoms”, says Vojdani. That’s because both gluten and casein are broken down into gluteomorphin and casomorphin peptides, short chains of proteins that, should they escape through the gut and make their way to the brain, mimic the effects of heroin and morphine. Jeanne, a homeschooling mother who used to practically live on homemade bread, took the family gluten- and casein-free (GFCF) in the hopes of clearing up her children’s eczema, gut problems, and neurological issues. She wasn’t prepared for her own response, though. Not everyone is sensitive to gluteomorphin and casomorphin, but it does explain why some people, like Holly, get worse before they get better. These opioid-like effects are also believed to reduce gut mobility and cause constipation. Four days into a GFCF diet, one woman’s son had a bowel movement without the aid of medication for the first time in nine years. Mysteriously, however, other people become constipated when they give up gluten or casein. For Holly, it got so bad she remembers eating some wheat bread for relief. Vojdani suspects that because opioid effects tinker with serotonin metabolism, a serotonin deficiency may be at work. “Ninety-five percent of our body’s serotonin is found in the gut, and it’s an important neurotransmitter for digestive health and function,” says Vojdani. My own daughter had been gluten-free three years when we removed casein from her diet due to her chronic respiratory issues. Right away she started having stomach cramps. When I gave her a children’s probiotic, which she had been taking regularly for years, her stomach cramps became debilitating and she had diarrhea. That was my clue her new casein-free diet had likely instigated a battle of the bacteria in her bowels. Warm baths, Pepto-Bismol, and daily doses of sauerkraut have been seeing her though. It can be disheartening when you or a client feels worse after kicking gluten and casein, especially considering the hardships and all the promises. Most people, however, feel tremendously better immediately, says EnteroLab’s Zermeno. For others, the symptoms can last from three days to six months as the immune system and the body’s homeostasis readjusts. Naturally, this is when the nutritional therapist can turn to her toolbox of remedies for soothing the gut, taming inflammation, and clearing those detox pathways. Also, it’s vitally important, says Zermeno, to make sure you truly are GFCF. People have found themselves affected by gluten in the coating of their medications, in paper towels or plates (particularly if used in the microwave), shampoos and body care products, their Teflon pans, and even handling pet food. For the highly sensitive person, it doesn’t take much to set off a reaction. I know a woman who watched in horror as a man finished a Saltine then shook her son’s had with the same hand he had been holding the cracker. It was enough to make her son quite ill for several days. Also, although a gluten-free diet may be the magical cure-all for many, it’s only one chapter of the story for many more. It’s not uncommon for someone long ravaged by a gluten intolerance to have developed multiple food intolerances (such as to dairy, eggs, soy, corn, yeast, nightshades, etc.) that also need to be addressed. It wasn’t until my newly GFCF friend cleared up an amoeba infection that she began seeing intestinal relief. For others whose symptoms still persist long after the six-month mark, figuring out what to eat can get very technical. I know people who are sensitive to oxalates, salicylates, lectins, amines and so forth, and swear by diets that eliminate foods high in these potential triggers. In fact, according to Tom O’Bryan, DC, CCN, DACBN*, who lectures nationally about gluten and celiac disease, 30 percent of those who go on a gluten-free diet are not recovering. What’s worse, he points to studies showing that patients with celiac disease who adhere to a gluten-free diet show more nutritional deficiencies and lower bone density measurements than the control group. He also cites other studies that show teenagers on a gluten-free diet suffer higher rates of affective disorders, including depression and anxiety, as well as a higher Body Mass Index. Although malabsorption is one likely culprit, O’Bryan paints a bigger, more insidious picture. O’Bryan is serious about the dangers of people simply adapting a gluten-free diet and then going on their way, and he lectures on the topic around the country. Going gluten-free (or GFCF) is a much more complex lifestyle change than people realize if they want to stay healthy. We GFCF folk tend to be rather evangelical because of all the miracles we’ve both experienced and witnessed. The truth is a GFCF diet is but one step on the healing journey, and sometimes it even takes us a few steps backwards. *O’Bryan lectures on food intolerance, nutrition and autoimmune disease for Metagenics and sells a DVD titled “Unlocking the Mysteries of Wheat and Gluten Intolerance” at www.thedr.com. Elaine Fawcett, MJ, NTP, is a health writer living in Aurora, OR; dandelion@wbcable.net. Disclaimer: Statements made in these articles have not been evaluated by the Food and Drug Administration. These products or protocols are not intended to diagnose, treat, cure or prevent any disease or be used as a substitute for appropriate care of a qualified healthcare professional. 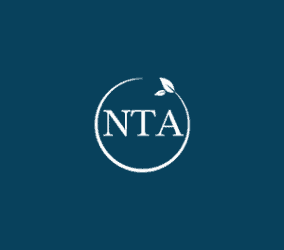 The ideas and options of contributing authors do not necessarily reflect those of the Nutritional Therapy Association, Inc.